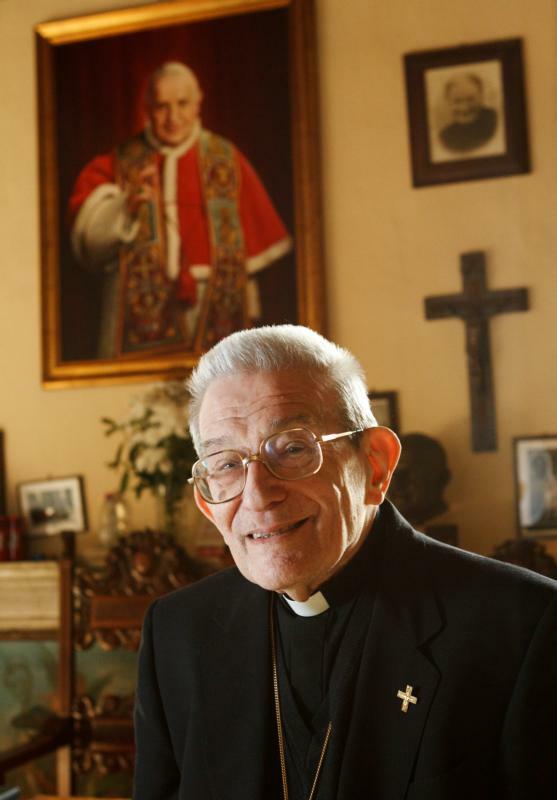 VATICAN CITY (CNS) — The former secretary to a saint and the oldest member of the College of Cardinals died May 26 at the age of 100. Italian Cardinal Loris Capovilla, who served St. John XXIII before and after he became pope, died in Bergamo, near Milan. Cardinal Capovilla was born in Pontelongo, Italy, on Oct. 14, 1915, and ordained to the priesthood in 1940. A journalist before starting to work for the future saint, he was an energetic and eloquent storyteller, drawing on his remarkable and vividly detailed memory. When the freshly named patriarch of Venice, Cardinal Angelo Roncalli, chose 37-year-old Father Capovilla as his private secretary in 1953, a skeptical adviser told the cardinal — who would become Pope John XXIII — that the priest looked too sickly to bear the strain of his new job. But the cardinal outlived his employer by half a century and was a dedicated custodian of his legacy, running a small museum dedicated to the saint’s memory in the late pope’s native town of Sotto il Monte Giovanni XXIII, near Milan. A friend and confidant, he was by the pope’s side during a pivotal point in the church and the world’s history: for the launch of the Second Vatican Council and the escalation of political and military tensions of the Cold War. The papal secretary also served Pope Paul VI for a time after his election, following St. John’s death in 1963. He was made archbishop of Chieti-Vasto in 1967 and appointed prelate of Loreto in 1971, retiring in 1988. Pope Francis made him the world’s oldest living cardinal when he elevated him to the College of Cardinals in 2014 at the age of 98. Some observers saw the honor as an indirect tribute to Pope John, whom Pope Francis canonized just one month later. Cardinal Capovilla’s death leaves the College of Cardinals with 213 members, 114 of whom are under the age of 80 and therefore eligible to vote in a conclave.